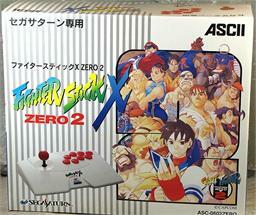 «©NCSX» Brand new and factory boxed Fighter Stick X Zero 2for the Sega Saturn which was released roughly 15 years ago. 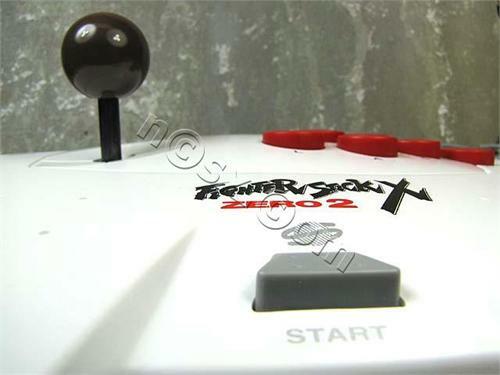 The lollipop-style joystick uses clicky micro-switches and the buttons are the "flat-feeling" variety which aren't too springy but they're just about right. Slap a button and it depresses easily and with a "flat feeling." 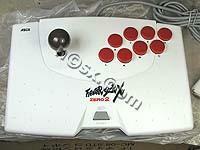 The joystick and buttons are mounted on a wide base which covers a tabletop or a lap with its girth. Every joystick includes a sheet of Street Fighter Zero 2 decals and a Dan trading card which gives up his background and an assortment of special moves. NCS' remaining inventory is brand new and factory boxed in the original cardboard container. The condition of the packaging is in excellent structural shape with little to no signs of wear or weathering. Flimsy cardboard retainers inside the box keeps the joystick somewhat stable and secure from shuffling around during shipping but we don't trust their integrity to withstand handling during transit. Due to this lack of trust, NCS will add some additional padding inside the joystick container to ensure that the sticks don't flop around and potentially break while in transit to customers. 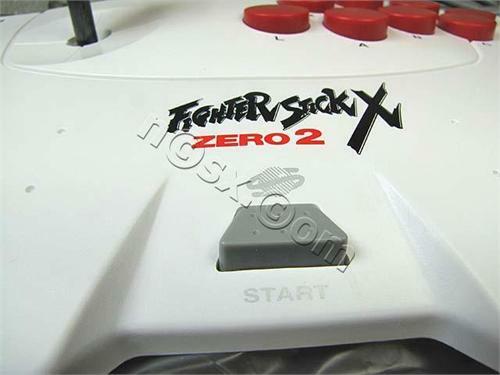 Pricing per Fighter Stick X Zero 2 is set at US$55.90 each which includes free shipping within the United States. 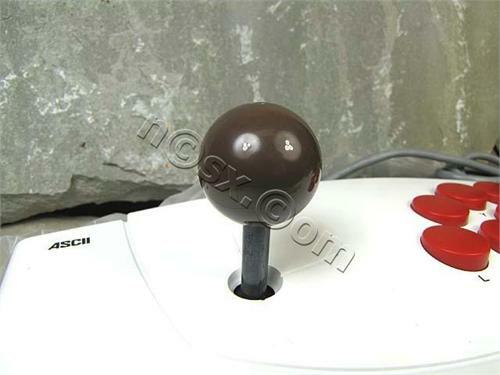 A sturdy and reasonably well designed joypad which features a solid D-Pad and a little steering wheel which rings the D-Pad for use with racing games.